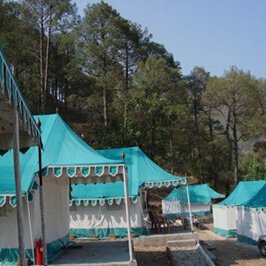 On the western side of Garhwal Himalayas, in the Uttarkashi district of Uttarakhand, lies the holy place of Yamunotri. About 3,293 metres above the sea level, Yamunotri stands proudly with its enormous mountain peaks, glaciers and gushing waters of Yamuna. 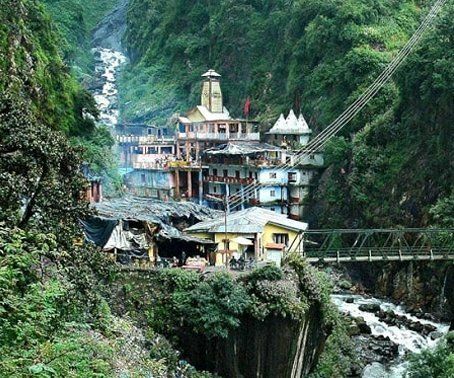 River Yamuna, the second most sacred river of India, originates in Yamunotri, making it one of the pilgrimage sites in the Chota Char Dham Yatra in Uttarakhand. The venerated goddess Yamuna is said to be the daughter of Sun and twin sister of Yama (the god of death); in Vedas, Yamuna is called Yami (lady of life). A bath in the sanctified waters of Yamuna is said to cleanse all sins and protect from untimely or painful death. Such strong associations in Hindu mythology place Yamuna Devi (goddess) in high ranks of divinity. The River Yamuna originates from the Yamunotri glacier, which rises up to 6,315 meters above sea level, and lies against a steep slope just below the top of the Kalind peak. From here Yamuna comes down into Saptarishi Kund and from there gushes southwards in a series of waterfalls. 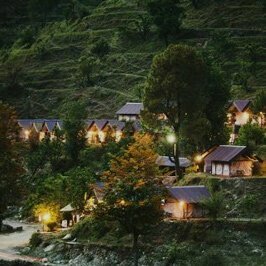 To the west of the Kalind Parbat is located Banderpoonch, which is a dominant mountain in central Himalayan area of Garhwal and divides the watershed of Yamuna from that of the Ganges. Coming out from Kalind Parbat, Yamuna is also known as Kalindi. As per a legend, Lord Hanuman doused the fire of his tail after burning Ravan's Lanka in the chilly waters of Yamuna at Banderpooch. That is why the peak is called Bander (monkey) Pooch (tail) - monkey's tail. 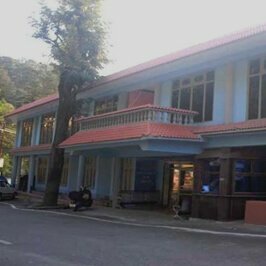 Another legend sees Yamunotri as the hermitage of ancient sage Asit Muni. The Muni used to bath both in Yamuna and Ganga, but in his old age he couldn't travel to Gangotri. Realising his problem, a stream of Ganga started to flow beside that of Yamuna. 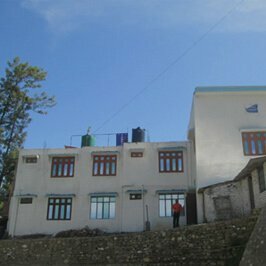 The holy abode of Goddess Yamuna is situated near the foot of Kalind Parbat (peak) and on a side of Banderpoonch Parbat. Nestled in the intimidating Himalayas, Yamunotri temple is believed to be constructed by the king of Tehri, Naresh Sudarshan Shah in 1839. 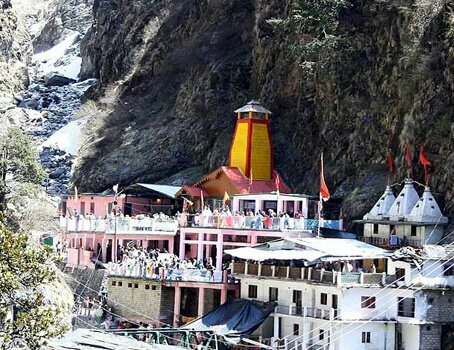 One of the Chota Char Dham pilgrimage sites, the stunning setting of the temple is enough to fill the hearts of the devotees with wonder. 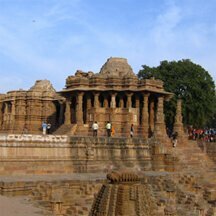 Yamuna River jets down from one side of the temple, which houses Goddess Yamuna in the form of a black marble idol. Ganga Devi too finds her place, in white stone, by the side of Yamuna. The temple of Yamuna closes its portals as winter approaches on Yama Dwitiya (second day after Diwali or on Bhai Dooj). 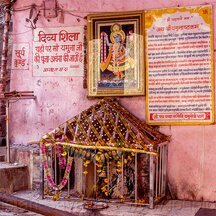 Devi's winter address is Kharsali village where she reaches in a palanquin and will remain for the entire period of winters. On Akshaya Tritiya (occurring on April/May), the goddess comes back to grace Yamunotri again. Both closing and opening ceremonies of the Yamunotri shrine are brought about with celebrations, elaborate rituals and vedic chants. Very near to the Yamuna Devi temple there are many hot water springs; the most significant among them is the Surya Kund. It holds the boiling-hot water as it emerges from the crevices in the mountain. People boil rice and potatoes by tying them in a cloth (preferably muslin cloth) and consider them a Prasad (religious offering) from Goddess Yamuna. It is a reddish-brown rock near the Surya Kund which needs to be worshipped before offering reverence to the main deity, Yamuna maa (mother). According to Skanda Purana, with a mere touch of the sacred rock one can attain spiritual liberation. 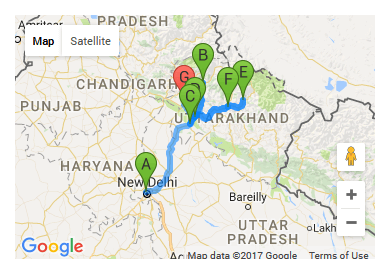 Motorable roads end at Janki Chatti and it is from here that a tough trek measuring up to 6/5 km is initiated till the holy shrine of Yamuna Devi. One can take ponies or palanquins to save oneself the hardships of the journey. 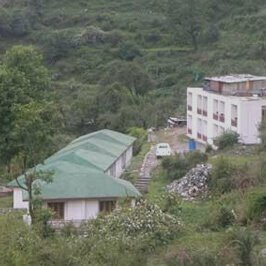 Buses and taxis are available from important destinations like Rishikesh, Dehradun, Uttarkashi, Tehri and Barkot. 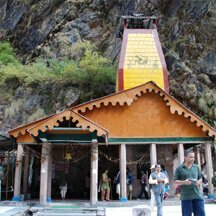 The best time to visit the Yamunotri temple is from April/May to June and September to October/November. Travelling in monsoons is not recommended due to the risk of landslides, floods and other rain-related issues. 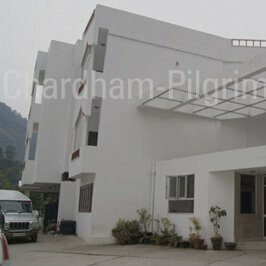 Very low temperature and heavy snow makes winter an inappropriate season for pilgrimage in Chota Char Dham.